I went and saw the stage show " Barassi " at the weekend .Followers of VFL / AFL football are familiar with this name . What prompted me to go was seeing Ron Barassiwalking along the beach path at Elwood beach with a few of his pals . He had a determined stride and had raised a sweat on the cool autumn morning . The show encompassed his life achievements in football , including playing and coaching Melbourne Football Club , his secession to Carlton , premiership victory at North Melbourne and trailblazing at the Sydney Swans . 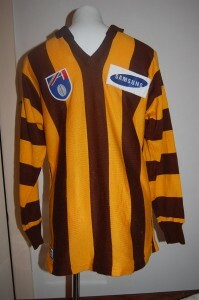 Many vintage football jumpers , jerseys , guernseys , were used in the production , well loved relics of a golden past and as tribute to a dead set footy legend . Elsewhere Barassi 's first team the Demons were thrashed by his second the Blues . 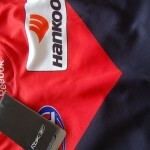 Perhaps the Dees need some Barass magic at the moment ! Saints run of losses continued , as did the Lions , Suns , Tigers , GWS , Crows and Bulldogs . Bombers and Cats rule on top of ladder with no losses followed by Power , Swans and Hawks with only one loss ,then come Freo , Magpies and Blues taking up remaining spots in the eight . Games were once played at smaller inner suburban grounds . 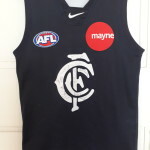 Collingwood , played at Victoria Park , Carlton ,at Princes Park , and South Melbourne at Lakeside Oval. North Melbourne played at Arden St , and Fitzroy , at Brunswick St Oval .Windy Hill was home to Essendon and the Punt Rd Oval housed Richmond , with Hawthorn at home in Glenferrie Oval ( the " sardine can ") . Fans often walked , rode a bike or caught the tram / train, short distances , to these matches in their football jumpers, jerseys , guernseys. Big crowds and big money have made these grounds obsolete. Victoria Park languishes but was recently used as a prop for a TV series . Princes Park has been redeveloped as a training facility for the Blues and is also home to a merchandise shop and office . The Fitzroy Oval hosts VAFA local football , with a team that plays in the traditional,Fitzroy strip.Windy Hill is Essendon's, admin , training and spiritual home , as is the Punt Rd Oval for the Tigers. Arden St, is the training and admin base for the Kangaroos, and Lakeside Oval is a reception centre and home to local soccer side . Glenferrie Oval, is open public space . The AFL"S , 70's white elephant , Waverley Park , is now home to residential housing , the notorious carpark buried under townhouses. Big stadiums like Etihad at the Docklands and Melbourne's iconic MCG are home to weekend AFL Clashes. 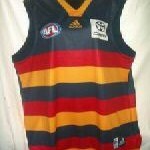 Fans go in their thousands wearing their football jumpers, jerseys , guernseys to watch their beloved teams play on the big stage. 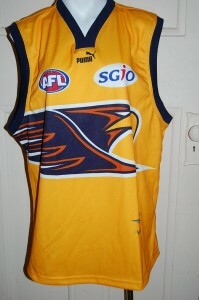 Football jumpers , jerseys , guernseys are rapidly becoming highly collectable . 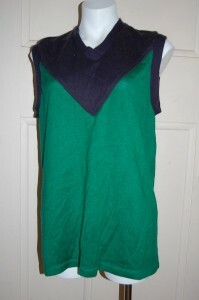 As fashions and styles change so does the humble footy jumper . 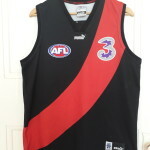 Long gone are the woollen , knitted , long sleeve variety with button up front and club names sewn on front and numbers sewn on back . These jumpers branded a club and a team and whilst not high fashion made a club instantly recognisable and bonded the players to each other, their club and their code . Many a mum despaired as when faced with the mammoth task of washing team jumpers they battled the soiling , the wet winter weather , thickness of the wool and the near impossiblity of getting the jumper dry for match day . 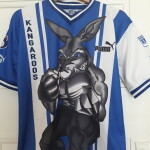 Today the modern slick polyester version is usually sleeveless has printed on everything ie numbers , logos , sponsors , names etc, is able to be washed and dried overnight and takes plenty of wear and tear . 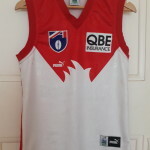 However the older style jumpers are enjoying a renaissance in their twilight years as collectors world wide hanker for the old school team jumper they played in, or their teams old strip . These jumpers often plastered in unfashionable sponsors logos for tobacco companies and breweries are highly prized . 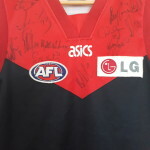 The items are much sort after and collectors and fans alike will pay a high price to secure a much coveted item such as an old Fitzroy Lions jumper . 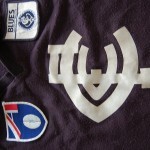 Will the new cartoon like logo of the Lions be as popular or collectable as the the Old Lions strip ? Only time will tell but every woolly jumper forever enshrined under glass has a story to tell which can only grow in stature as time goes by . 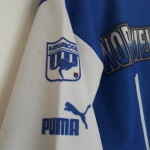 Will they become the true legends of the game and gaze on in horror at the modern incarnations of this famed piece of sporting apparel ?